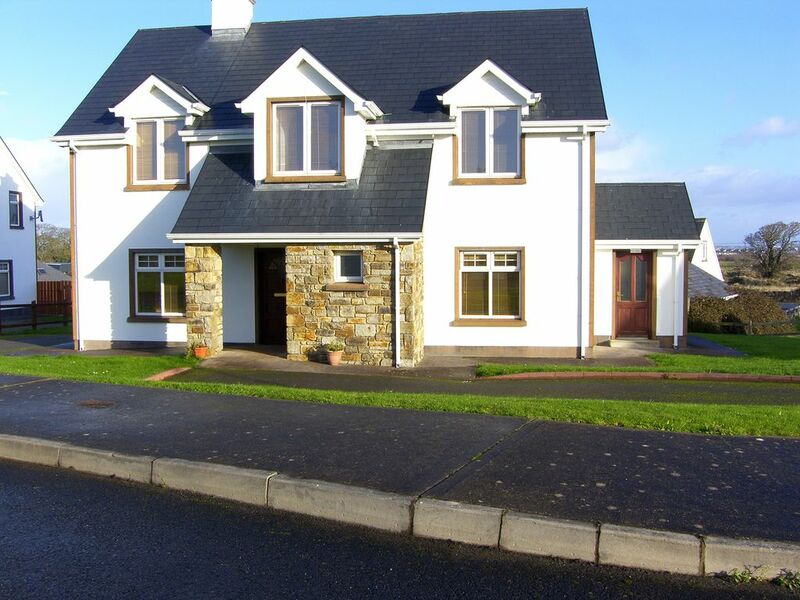 This spacious holiday home is located 2.3 miles from the town of Bundoran on the "Wild Atlantic Way", between Sligo and Donegal. One of 15 holiday homes, it enjoys two lounges and all bedrooms are en-suite, perfect for family get to-gethers. Bundoran has something to offer everyone, from the aqua dome and 18 hole golf course, to its cinema and sandy beach. Shops, pubs and (seasonal) restaurants are nearby. The local area is renowned for its deep sea fishing and surfing, with many surfing championships hosted in Bundoran. Nearby towns include Sligo, Fermanagh and Donegal and there are neighbouring counties of Northern Ireland to explore.Pub. Restaurant 2.3 miles. Beach 2 miles. GF: lounge, kitchen/diner, 2nd lounge, w.c. FF: 3 doubles all with ensuite shower rooms, twin with ensuite shower room.Starter pack for open fire available from October to April; Oil and Electricity charged at EUR7 per day., linen and towels included, cot, high chair, TV, dvd player, CD, fridge/freezer, microwave, w/machine, open plan garden, private off road parking. One pet welcome.